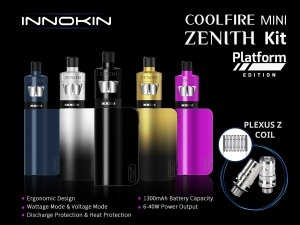 Innokin CoolFire Mini Zenith Kit is a compact kit to fit your palm comfortably, which is designed with sleek box appearance and glossy surface. 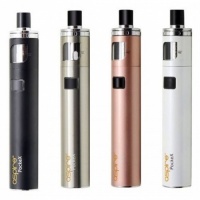 CoolFire Mini Zenith is a simple kit with 1300mAh built-in battery, Wattage Mode and Voltage Mode, and if you like such simple vaping without too much modes and settings, then this one is a great choice for you. 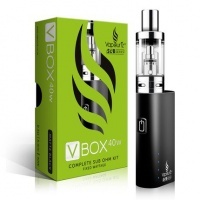 It has 3.0-7.5V voltage range and 6.0-40W wattage range, and you can operate it with the fire key, UP & Down buttons and the clear display screen. Added with multiple protection, you needn't to worry about your safety. 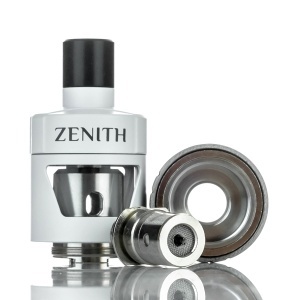 CoolFire Mini Zenith Kit comes with a new tank from Zenith series, which features accurate airflow control, easy twist top filling and 2ml juice capacity. Through adopting chimney design, it prevents leaking problem and noises. 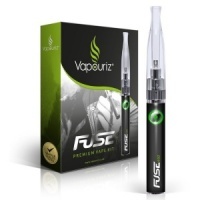 Moreover, Plexus Z Coils will bring you long-lasting flavorful clouds! The Innokin CoolFire Mini Zenith D22 will include a 30 day Limited Warranty against any manufacturing defects from the date of delivery. Scratches and discoloration from regular use is considered normal wear and tear and is not covered by warranty.